This could be something as simple as becoming an educational blogger, consulting, speaking at conferences, writing a book or even creating a website (like this one!). This can also include taking on more leadership in your own district. I've been a teacherpreneur full-time for a few years now, and there are some amazing benefits that I want to share. 1. It Increases Your Impact. As a teacher myself, something I always hated was the limit that a single classroom had on what I was doing. I'm not trying to downplay the impact you can have as a teacher on 30 or 100 kids a year (depending on your grade level), BUT...no matter how good you are as an educator, you are limited by the number of kids in your seats. Posted by Jay Eitner | @Jay_Eitner on Thursday, 17 August 2017 in What If? My first “official” day on the job was July 5, and before I could get started, I needed a work space. 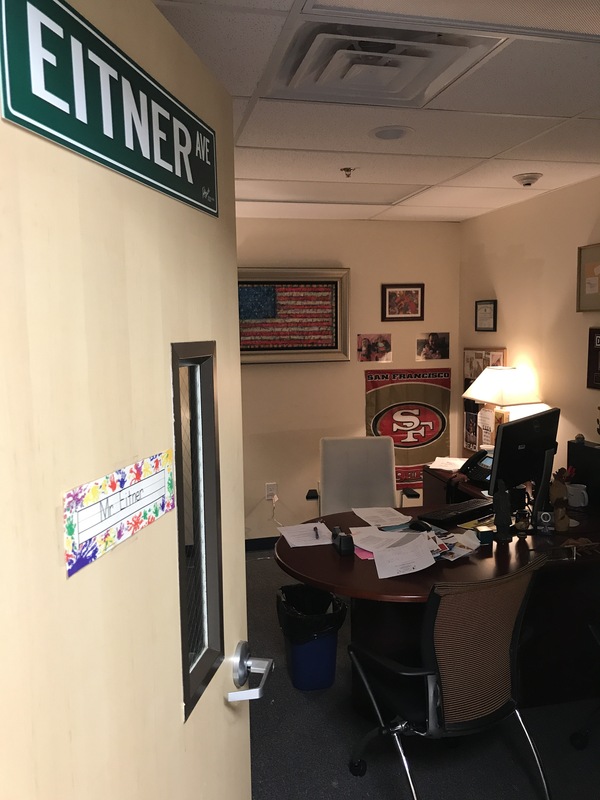 I had taken a few tours of the facilities before, and I saw that my new office was on the third floor–the top corner office with a great view. It was more like a penthouse. And then I checked out the whole building and told the movers to put all of my belongings in the basement. You read correctly. The basement! My staff began to panic and wanted to know if I was okay. I picked an office that is the size of a utility closet at best. No windows. No bathroom. No opulence resembling the typical superintendent ‘s office. Just enough room to hang a few pictures and my academic credentials. I nearly drowned as a second grader! A couple of the other kids had their arms around our coach as she walked closer to the deep end of the pool. I followed closely behind her. But before I knew it, I could no longer bob up and down and touch the bottom of the pool with my toes. I panicked and tried desperately to keep my head above water. At the moment before I knew my life was about to end, I looked up into the stands and saw my mom motioning to me to put my head down and swim. “Swim, Sandy!” she yelled. I looked to the side of the pool, and my coach was doing the same thing. No one was running to save me! “Swim, Sandy!” their blended voices hollered. It wasn’t the most graceful American crawl, I’m sure. But, I did make it to the side of the pool and am still alive to tell the story. I’ve often thought about this experience when I’ve faced changes and challenges throughout my career. When I start to feel a little overwhelmed or some self-doubt, I hear the voices in my head saying, “Swim, Sandy!” I know then that I need to FOCUS and swim! It isn’t always pretty getting to the side for a breather, but I make it. My coaches don’t jump in and rescue me, but I know they’re on the side cheering me on because they believe that I’ll be successful. As a result, I have a stronger sense of self-efficacy. There is a need for some basic knowledge, but the application of what I’ve learned is up to me. “Jumping into the deep end of the pool” can be a little scary, but it’s also where we’ll experience the most growth. Being in the deep end of the pool forces us to leave our comfort zones and apply our new learning. While many educators heed the advice of starting small when it comes to change, I’ve always jumped in and have swum for my life. It's even been a joke that I'll figure things out as I'm doggy paddling. I’ve grown very comfortable with being uncomfortable. Making mistakes and learning from those mistakes is part of who I am. It’s part of my creative spirit. Although I can envision where I need to go and want to be, I don’t always know the “how-to’s, ” and that’s where there’s risk-taking. It’s often through play, experimentation, and collaborating with others that the best ideas come about and benefit kids. Regardless of whether educators jump in the deep end of the pool or start at the shallow end, the point is to move forward and start making the changes that our kids deserve. It seems that our profession is the only one where those who remain stagnant are allowed to keep their jobs. We would never go to a doctor or dentist who was not current with the most updated medical practices. We would never board a plane of an untrained pilot and seek advice from a lawyer who did not know the current laws. Businesses that don't continually change and adapt go out of business. Yet, educators who have children's lives on the line, continue to hold onto old mindsets and traditions.